Hi! Thanks for visiting my site. My name is Mireille and I'm a mom, health nut and marketer by trade. I've been on a wellness journey most of my life now. Growing up, I was always very sporty. In my early twenties, I became fascinated by nutrition and its impact on the mind and body. I gradually started incorporating loads more vegetables in my diet, experimenting with supplements and using herbs. I then became a mom and started making lots of changes in my self-care routine and in reducing my family's chemical exposure in our home. Most recently, I've developed an obsession with essential oils which are adding a whole new dimension to my health regime. Honestly, despite my long journey, I am far from "perfect" and there are still many health goals I want to achieve. I figure now is as good of a time as any to start sharing what I've done, what I've learned and where I'm going next. I know there are many great, similar sites out there but I hope that through mine you learn a different twist on something you already know. Please feel free to ask me any questions you may have. I'd love to hear from you! M.
I dabbled into bread-making several years ago when I was on maternity leave. Since I was on leave from work, I had more time to experiment with the complicated recipes I had. But, as soon as I was back to work, the bread-making completely stopped. Trying to time the multiple rises with a 9 – 5 job was just way too much trouble. This past summer, I discovered dutch oven bread-making. It sounded too good to be true but I decided to give it a shot! I have to say, since making bread this way, I’ve never goofed up a loaf of bread (except the time I forgot the yeast… and the time I forgot to put flour at the bottom of the pot and the loaf stuck). It’s practically fool-proof. I’ve seen different variations of the recipe but here’s the one that works for me. In a glass bowl, mix all ingredients and cover with a warm, humid cloth. Let rise at least 8 hours. After dough has risen, put the dutch oven in the oven and preheat at 450 degrees. While everything is heating, flour the counter and knead the dough adding more flour if too sticky. Fold dough under into a nice ball and score the top. When the oven is preheated, take the dutch over out and add some flour at the bottom. This is important, otherwise your dough will stick! Add the dough and bake covered for 25 minutes. After 25 minutes, remove the lid and bake for another 10 minutes or until crust is golden brown. Consume within the next couple of days. You can experiment by adding spices, olives, food-grade rosemary essential oil, etc. There’s a trail I bike down often lined with red clover. For the first time ever, I mustered up enough courage to pick some for use. If I told you how much I pay for a bag of dry red clover from the health food store, you would ask me why on earth I ever waited so long to harvest it myself! Red clover is used as a blood purifier and thinner. It contains the phytoestrogens daidzein and genistein, and can help relieve a variety of women issues. It is also naturally high in protective antioxidants and anti-inflammatory compounds. In order to get the full benefits from this herb, I prepare it as a herbal infusion. In this short video, you’ll see how I harvested the red clover, used my dehydrator to dry it and then conserve it in a mason jar ready to make an infusion. Make sure you harvest only healthy-looking flowers and cut off the stems. I cleaned the red clover by soaking them in water and therapeutic-grade lemon essential oil. Dehydrators probably vary but I put my at 95 degrees and left the red clover in for 24 hours. If you don’t have a dehydrator, you can use your oven or I’ve read some people just let it air dry. I then stored it in glass and, once I’m ready to consume, I will add boiling water to it and let it infuse overnight. Hope to see you out wild harvesting some day! I love shopping at my quaint, neighbourhood organic grocer. One of my favourite things about it is they often have unusual products. This past week, they had Shiso. The lady working there didn’t even know much about it! She said the local herb farmer likes to drop off “weird” plants ever now and then, and she gets concerned people will be “weirded” out by them. Well, I’m all about weird so I took it off her hands! Lots of vitamin C, K and A; potassium; and flavonoids (anthocyanins to be exact). Helpful for cold symptoms such as a cough. Supports digestive issues and is anti-inflammatory. Eases allergies when eaten regularly. I’ve had sinus issues for as long as I can remember. When I was a kid, during sleepovers with friends, they would tell me they knew I was awake the next morning because I would sniffle. Sure, I tried cutting out dairy in the past and that helped a lot. I even have a Neti pot that I would often use to try to get relief but the Bulletproof nasal rinse has made the biggest difference. At first, I was paranoid I would get some of the mixture in my lungs (because I’m weird like that). However, I soon got used to the feeling of pulling water through my nasal cavities and into my mouth. It was more difficult at first, when I was still really congested. Plus, lately I was having issues with my eyes but this has helped tremendously with that too. I do the nasal rinse twice a day and the eye rinse once. Plan to keep cutting back as my symptoms continue to improve. Once I’m done, I apply super high-quality clary sage and geranium essential oils diluted in fractionated coconut oil. I don’t have science to link to here but it’s backed anecdotally from my aromatherapist course. Chaga mushroom is a fungus that grows on birch trees. Sounds appetizing, huh? My parents introduced me to chaga a few years back. They had friends that discovered chaga and started consuming it for the amazing health benefits it offers. They knew this was something that would likely interest me so they gave me some to try out. My favourite way to prepare this is in the slow cooker, as a perpetual brew – similar to what you can do with bone broth. I put a large chunk of chaga (like the one pictured) in the slow cooker, add boiling water to fill and set it on low. I drink a cup each morning and replace what I take with more boiling water. This lasts me about a week. I got this idea from one of my natural health heroes, Ange Peters from HOL:FIT. These friends of theirs also added lemon peel to their chaga tea cup. Back then, I didn’t quite understand why they would do this and my parents simply said it had added benefits. Now, as an essential oils educator, I totally get why you would add lemon peel: d-limonene. I encourage you to replace your cup of Joe one morning and try it out 😉 (or do half and half). Don’t worry, it provides you with a great energy boost! This is my favourite health snack these days. It looks a little funny and has an interesting texture but I actually enjoy its salty taste. Plus, it makes me feel like a mermaid when I eat it! This amazing sea plant is so nutrient-dense, despite being low in calories, it helps me feel satiated until I can finish prepping a healthy meal. Iodine: this is probably your thyroid gland’s best friend*. It keeps it in balance and is necessary for the release of thyroid hormones. Magnesium: if you’re not already, you’ll soon get tired of me raving about magnesium! This mineral is necessary for the proper contraction and relaxation of muscles. Plus, it’s been said that people with hyper- or hypo-thyroid conditions are likely deficient. Fucoxanthin: this is an antioxidant from the carotenoids family. It has anti-inflammatory, anti-cancer and even fat-burning properties. Just don’t overdo it with seaweed. It has super high levels of sodium so, like anything else, moderation is key! This, in my opinion, is THE best way to get started with oils in your home. Gosh… you know when you think of something and wonder WHY on earth did it take me so long to come up with this? Well, this is one of those moments. Needless to say, I help lots of people get started with or interested in jumping on the essential oils bandwagon. Why? Because we’re one heck of an empowered, health-inspiring bunch. Unfortunately tho, getting started with essential oils can be extremely overwhelming. Where do I begin? What do I do with allllll of these oils? And, most important, how do I incorporate them into my daily life so I can actually enjoy all of the health benefits this powerful plant magic has to offer? 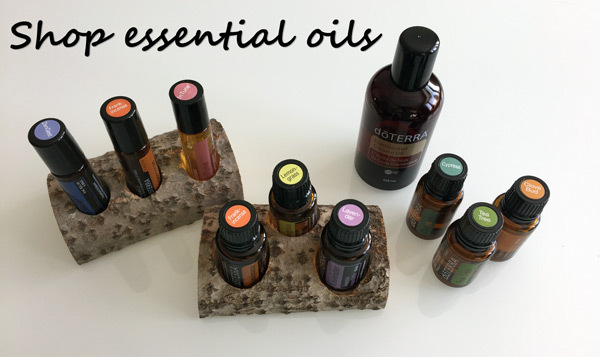 So, in an effort to remove the dust off any and all essential oils that may be collecting dust in a closet out there, I wanted to share ways to include essential oils as part of a daily routine using the doTERRA Home Essentials kit. The tips marked with an asterisk are ones I use regularly. Diffuse lemon essential oil for a pleasant, uplifting aroma. Had a heavy lunch or tried something new that’s not sitting well? Use one drop of ZenGest essential oil blend or massage onto abdomen with fractionated coconut oil. Add a drop of lemon essential oil to your water. Diffuse On Guard essential oil blend in the home for a spicy and sweet aroma, and to clean the air. Driving a long distance and feeling queezy? Breathe in a drop of ZenGest essential oil blend. Use one drop of oregano essential oil in place of one tablespoon ground oregano to your favourite Italian dishes. Apply Deep Blue essential oil blend to hands and feet after gardening. Rub Deep Blue essential oil blend on lower back muscles after a day of heavy lifting at work or during a move. Diffuse Frankincense essential during your yoga practice for a peaceful aroma. Add lavender essential oil to bath water or apply to the temples and the back of the neck before bed. How do you integrate essential oils into your daily life?